On the search for a new car, but don’t know where to turn? At Baxter Volkswagen Omaha, we want to see you save big with the Volkswagen Partner Program. This unique opportunity affords current employees and retirees of eligible companies, along with immediate family members who reside in the same house, the chance to save $500 on a new Volkswagen. * Interested in this outstanding offer? 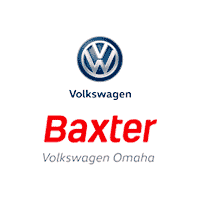 Contact our Volkswagen dealership near Lincoln, NE, or stop by and speak with one of our Baxter team members today. Do you and your family qualify for the VW Partner Program? Search ‘Our Partners’ to find out if your organization is a part of this program. Then, head to our Nebraska Volkswagen dealership to claim these savings today! * See dealer for full details. Offer expires Jan. 2, 2019.